Lindsay Napier is putting in a full week’s work despite the blisters from the out-of-office activity at the weekend! Well done Darwin Dream Team on making your sponsorship target. Today promises to be a fairly typical one at Darwin Healthcare Communications in London: it started by responding to a client query sent late last night, to be resolved as soon as possible! Next up, briefing a junior writer on a project, before making some tea and toast to keep me going until lunch time. 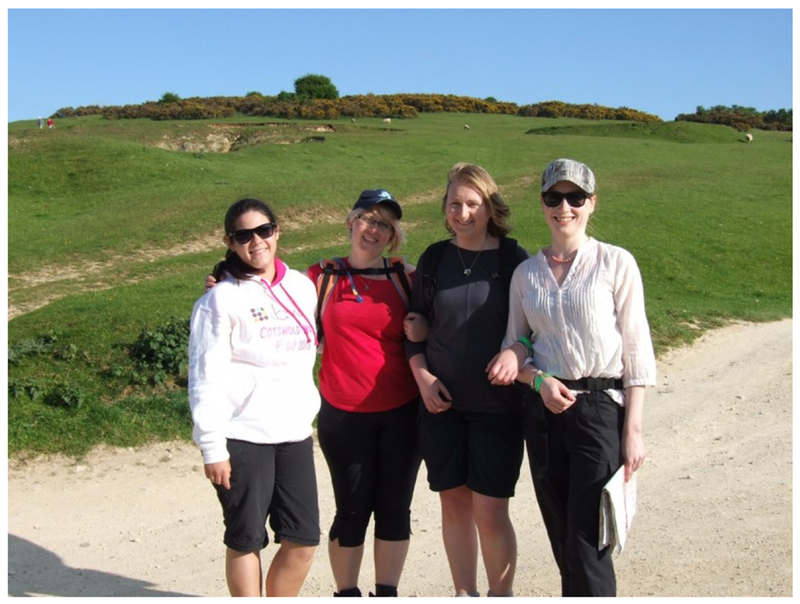 Although not strictly an event from today, I am still nursing blisters from the weekend’s 40 mile hike along the Cotswold way with some of my Darwin colleagues for Action Medical Research (thank you for sponsoring us!). Results were posted last night, so today we can celebrate not coming last! The photo is the Darwin Dream Team crossing the finish line on Saturday – I thought that would be preferable to a photo of my feet today! The rest of the day will mostly be taken up with addressing comments on a couple of manuscripts I’m working on, and uploading some items to zinc. At the end of the day, I plan to leave work on time to pick up my shiny new bike! This entry was posted on June 12, 2013 at 09:55 and is filed under In the office, Work Life Balance. You can follow any responses to this entry through the RSS 2.0 feed. Both comments and pings are currently closed.